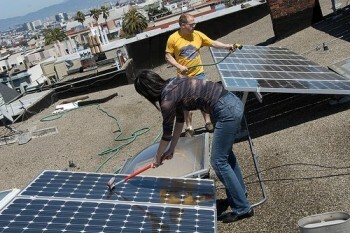 It is very important to properly clean and maintain your solar panels to ensure that they continue to work properly. A dirty solar panel may block the sun which can reduce the energy output of your solar panel or cause it to stop working efficiently. Cleaning and maintaining your solar panels regularly can improve their energy output by 30 percent or more! This article will help you manually clean and maintain your solar panels at home giving you the highest energy output possible. Materials you will need to clean your solar panel are water, cleaning solution, soft sponge, cloth, or towel, squidgy or similar window cleaning tool (optional). Follow these steps to easily clean and maintain your solar panels. 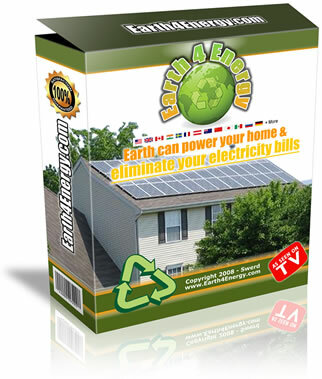 First you will need to make sure that you can safely access your solar panels. Take extra care with panels located on a roof to ensure that you are properly secured to the roof and can move around safely while cleaning. Also make sure that you have removed all sticks, leaves, and other debris from your panels. Any debris that has fallen onto or between your panel may cause a malfunction in the panel. You will want to clean your solar panel as you would a glass window, by coating the surface with water and cleaning solution. This will help to loosen all dirt and grime making removal easier. It is important to mix your cleaning solution with water in this step to minimize solution residue. The electrical components of your solar panels are protected underneath the surface. This makes them waterproof and safer to clean so wetting them is not a concern. Next use your sponge (squidgy, etc.) to remove all access cleaning solution and dirt using rinsing water when needed. Be careful to avoid streaking while completing this step. Streaking can leave solution residue behind which can hinder the sunlight much like dirt. It is possible to use an environmentally safe cleaning solution, however, you will want to test it on a transparent glass window first to minimize streaking. Dark glass surfaces tend to hide streaking, so a clear surface is best. An automatic solar panel cleaning system may be necessary if your panels are in a location that is not easily or safely accessed. These systems are used much like windshield wipers in that they have a cleaning solution hose and mechanical cleaning arm. These systems may be installed at the same time as your solar panels. Initially it is beneficial to install your panels at a tilt or angel so that they are cleaned naturally by the rain. A solar panel that is installed in a flat position will naturally collect more dirt and debris minimizing your energy output. Even with panels installed at an angle some debris may accumulate at the corners over time but this does not prove to cause a major disruption in energy output. Using this guide to properly clean and maintain your solar panels will help to ensure that you have the best functioning system possible. If you are looking for a tool which will make cleaning solar panels on the roof much easier, check out the Mr. Long Arm 1009 Pro Curve Solar Panel Cleaning System Kit from Amazon.com/. Click on the button on the right for more information. My comment is this is very good reading and extremely good information! !